No matter what's the reason behind the corrupted iTunes Library, the moment you discover this you will get highly disappointed. However, if you're the one whose iTunes Library is corrupted, there's nothing to be worried about, you still get it fixed on your own. We are going to list some of the solutions through which you will be able to accomplish the fixing of this very issue easily. So, just begin to scroll down and read on how to fix iTunes Library. Before moving to the fixing of iTunes Library, we want you to know why your iTunes Library gets corrupted. Firstly, please note that iTunes contains ITL file format unlike earlier when there used to be XML file format. The purpose of this is to keep all your data on your media library and maintaining the playlists straight. Now, if any sort of issue strikes to this file, your iTunes Library is likely to damage as well as you won't be able to open iTunes properly. For instance, virus or malware attacks, data corruption, crashing up of OS etc. Also, the issue can also be related to permissions with your Home folder when you're on Admin account. Let us now move to the next section that will demonstrate you what to do when media library gets corrupted. We are going to list 4 different ways for you. Scroll down and master on it. The first way and the best way to fix iTunes Library is to use Tenorshare TunesCare. This tool has the power to solve a wide range of iTunes errors. You can enhance the iTunes performance via TunesCare. Besides this, it fully supports iTunes 12.7 as well as both major operating systems i.e. Windows and Mac. Within just 3 simple steps, you'll be able to achieve the results and fix errors be it iTunes sync errors, install/updates errors or iTunes playing issues. Let's know the steps now. Step 1 – Begin with launching the software after installing it. Now, connect your device to the PC. 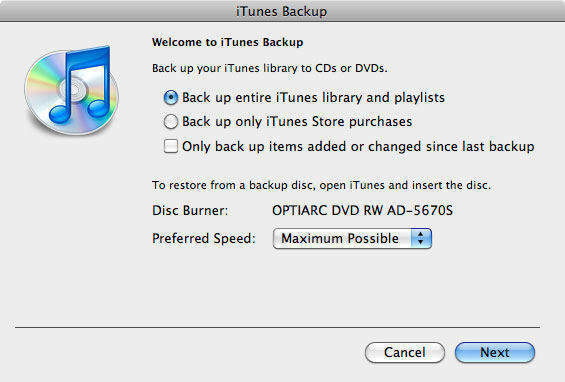 Step 2 – Select 'Fix iTunes Sync Problems' now and start repairing the problem. Step 3 – Now, wait for the repairing process to get completed and you will get notified that your iTunes Library is repaired now. You can now check your iTunes Library if it is not damaged anymore. Make sure to close iTunes first and follow the path '/Users/username/Music/iTunes/iTunes Library.itl' for Mac and 'C:/Users//[User Name]/My Music/ iTunes/iTunes Library.itl' for Windows. Now, find the iTunes Library damaged and rename it 'Damaged iTunes Library.itl'. Next, in the iTunes folder, find the folder 'Previous iTunes Libraries' and hit on it. You will now be able to notice a recent previous version of your library. You need to now copy it and paste it later where the 'Damaged iTunes Library.itl' locates. After that, rename it to the generic 'iTunes Librar.itl' making it recognizable by iTunes. Get to the iTunes folder using the path – 'Users/Username/Music/iTunes' (for Mac) and 'C:/Users/[User Name]/My Music/iTunes' (for Windows). If iCloud Music Library is enabled when opening iTunes, hit on 'File' and choose 'Add to Library'. Go to existing iTunes media folder then and highlight it. 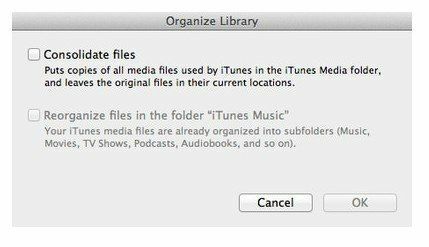 Select 'Open' now and your media files will be reimported by iTunes. Also, if iCloud Music Library isn't enabled, you may get prompt by an error message to choose a folder for iTunes Library. You need to now choose your existing library folder and follow the above steps in order to re-add the media files. To start, visit the iTunes media folder under 'Isers/Username/Music/iTunes' and do right click on 'iTunes Library.itl'. Hit 'Rename' and add the file with either 'old' or 'broken' followed by dragging it to the desktop. Now, hit on 'Time Machine' icon from the menu bar and then select 'Enter Time Machine'. After this, you will get a pop-up having timeline next to each backup. Now, go to the latest backup and get the library file highlighted. Lastly, click on 'Restore' and open iTunes to check the problem is gone. Those were the four ways to resolve corrupt iTunes Library. We hope that the above mentioned steps were easily understandable to you. If you're still unable to figure out the best way, we would say using Tenorshare TunesCare will make sense for its simplicity and no technical requirements. Now, that you know what to do if your media library is corrupted, you can easily get the problem fixed without getting panic. We hope you like this post. So, please help us knowing how this post was, by commenting below.